Open the door for the tried and tested CLIP top hinge! CLIP top stands for utmost adjustment and ease of assembly providing a functional and attractive design. Every door equipped with CLIP top opens and closes with reliable ease. 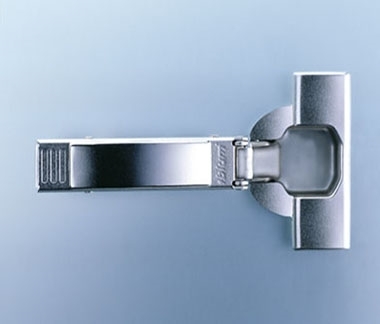 And for customers who are looking for an even softer closing motion simply combine CLIP top hinges with soft-close BLUMOTION. Should you be looking to install handless doors then TIP-ON provides the solution with one touch opening, TIP On is the functional opening system for handle-less furniture. Tandembox Antaro drawer boxes offer an exceptional range, providing a sleek and stylish solution to kitchens, bedroom and bathroom cabinet interiors. 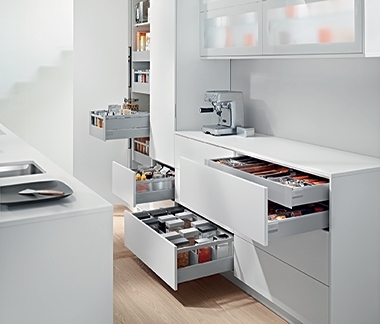 Antaro is all about clean lines, whether it's a drawer with a gallery or a closed drawer box each offers the best quality with a minimalist design and soft closing action to ensure quiet effortless closing action every time.